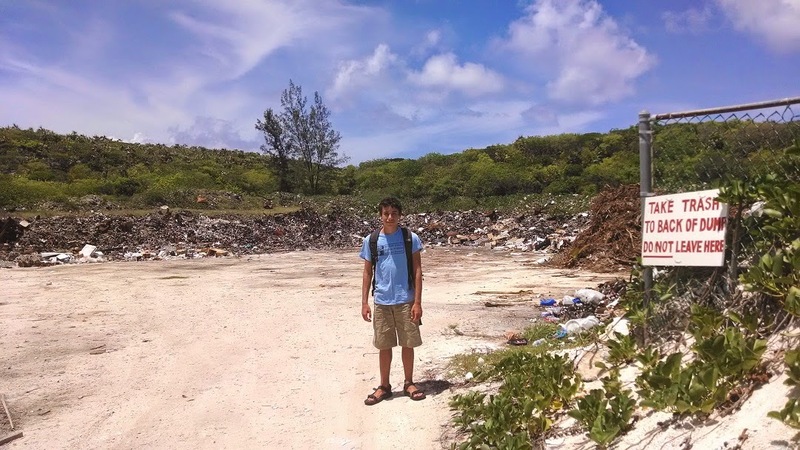 I was so happy to find the dump. It is amazing how quickly one’s desires can become so basic. 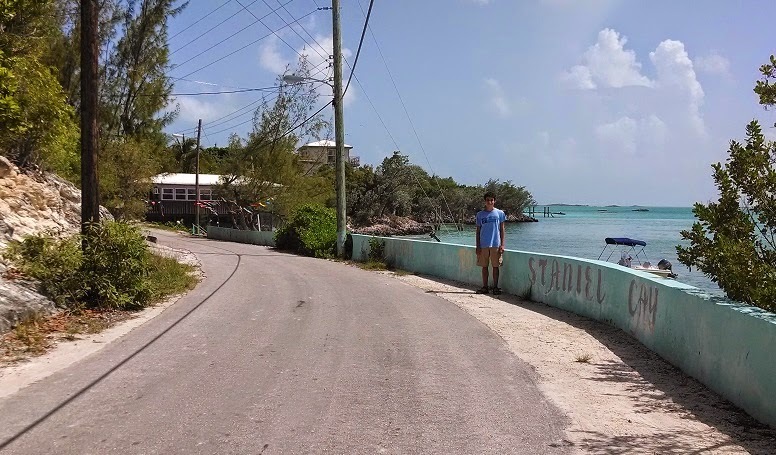 We pulled in to Staniel Cay after sixteen days at uninhabited spots in the Exumas where there was nothing there but us and the land and the sea. As each day passed, our supply of fresh food dwindled and the accumulation of garbage grew. Fresh fruits, fresh vegetables, and meat were long gone. We had two lawn-sized bags of garbage taking up precious space in the hanging locker. Trash can be reduced by throwing food scraps overboard, a standard practice here. Paper products can be burned. But there is just so much else – plastic, glass, and metal – that quickly accumulates. 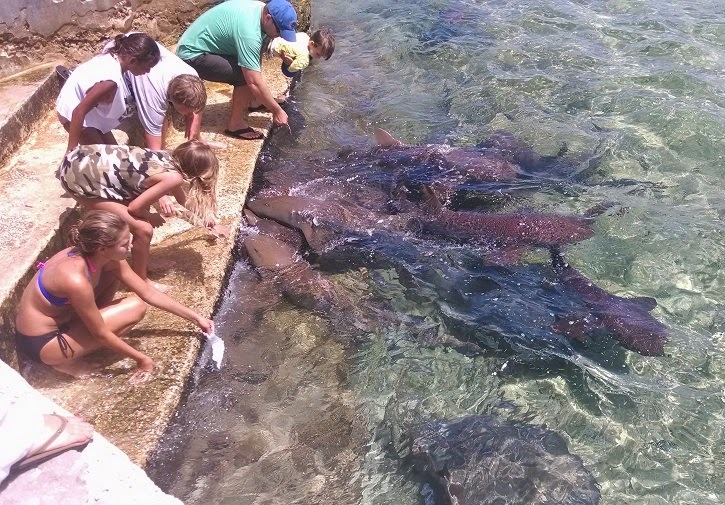 Many marinas charge to take in trash, often $5 for a large bag. Cash and I enjoyed the walk to the Staniel town dump to toss out our bags for free. 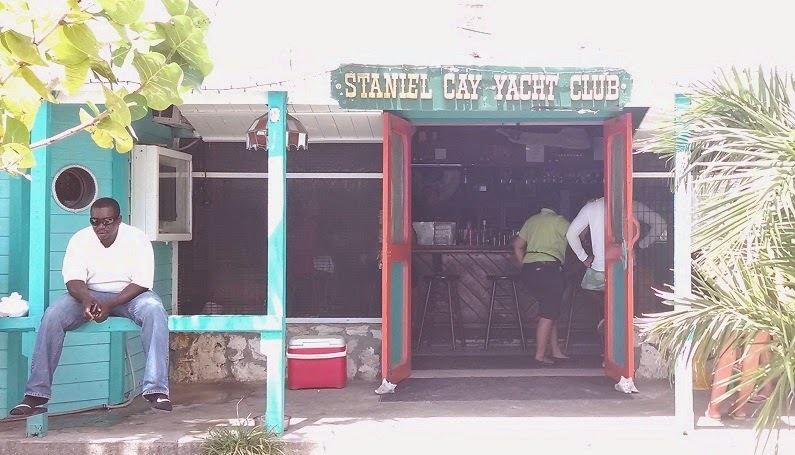 Staniel Cay is a small island that is home to a small but healthy rental-house market and a very I had been looking forward to lunch at the (very casual) Staniel Cay Yacht Club for days; I was eager for good food cooked by someone else. Just after we came ashore the power went off, and the cooks used the opportunity to go home for a break. No electricity on the entire island, so there was no hope of a restaurant meal for us. Apparently this is a regular occurrence. the amount of goods that could fit into my old pantry. It had been five days since the last mail boat, so there was not much fresh left at either store: one decrepit cucumber, a couple heads of iceberg, some tomatoes, 1 bag of carrots, some nasty broccoli, potatoes, onions, and an odd assortment of frozen meats. Each stores contained a small number of dry goods and toiletries. But this was enough for us – it was like manna from heaven at that point. Once the mail boat pulled in two days later, there was much more to offer: romaine lettuce, apples, grapefruit, oranges, mangoes, and strawberries. 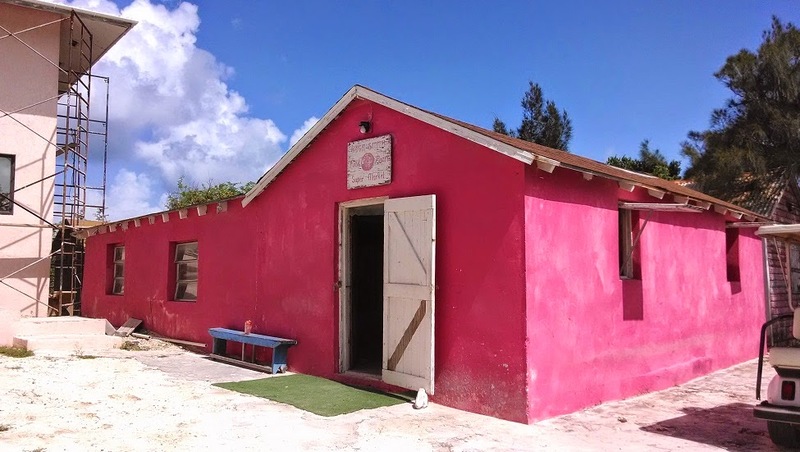 Prices are outrageous, as with most of the Bahamian islands. Almost all the food here is imported -- no farms or dairies in the whole country. I filled three cloth bags and half our backpack for $150. Yikes! 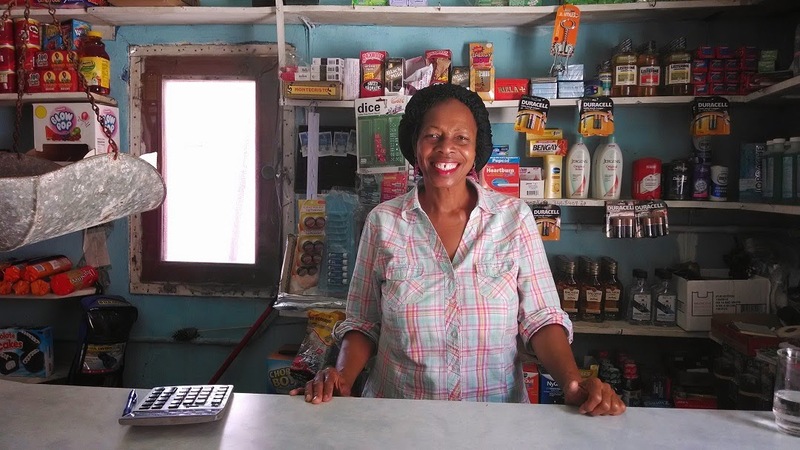 Many people here have connections in Nassau who send them groceries on the mail boat, rather than shopping locally, which gives more variety and a somewhat lower cost. 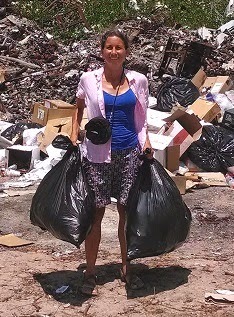 Along with our growing bags of trash was an ever-increasing sack of laundry. Even though we often wear the same clothes for a few days at a time, we managed to go through almost everything we have by the time we arrived at Staniel. Doing the wash, however, will have to wait. The only option here is to bring laundry to two ladies on shore who will do it for you at the price of $12 per load ($15 if you don’t supply the detergent). 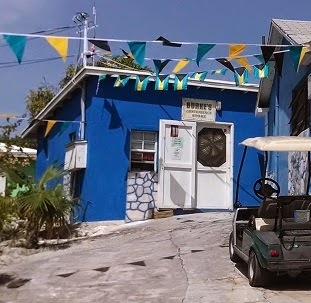 We’ll wait until our next stop at Blackpoint Settlement, which is reputed to have the best coin-op laundromat in the Exumas. Staniel is a great place to re-supply, as there are two commuter airlines (Watermaker Air and Flamingo Air) that make multiple trips here each day in small aircraft. With a cruising permit submitted, each will take packages you have shipped to their stateside office and deliver them to you here, without the hassle of customs and the wait for the mail boat. This gave us the chance to replace our recently deceased chart plotter. Reverse-osmosis water, diesel, and gas are available here too. 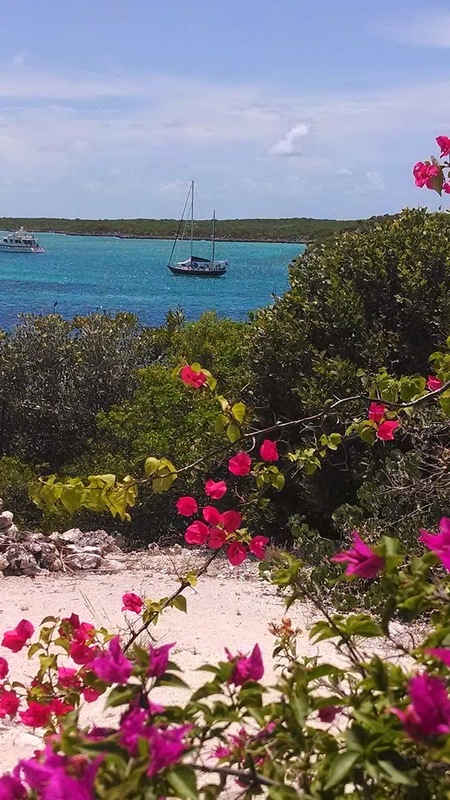 Its touristy feel (complete with a small mega-yacht population) has grown a bit tiresome, but otherwise Staniel Cay has been a great place to reconnect with the outside world, hang with friends, and to resupply.